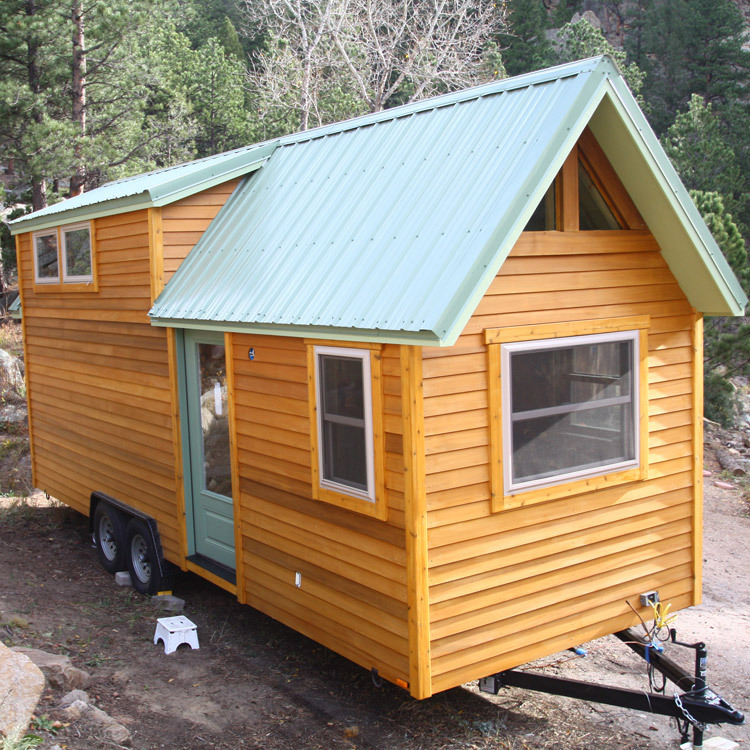 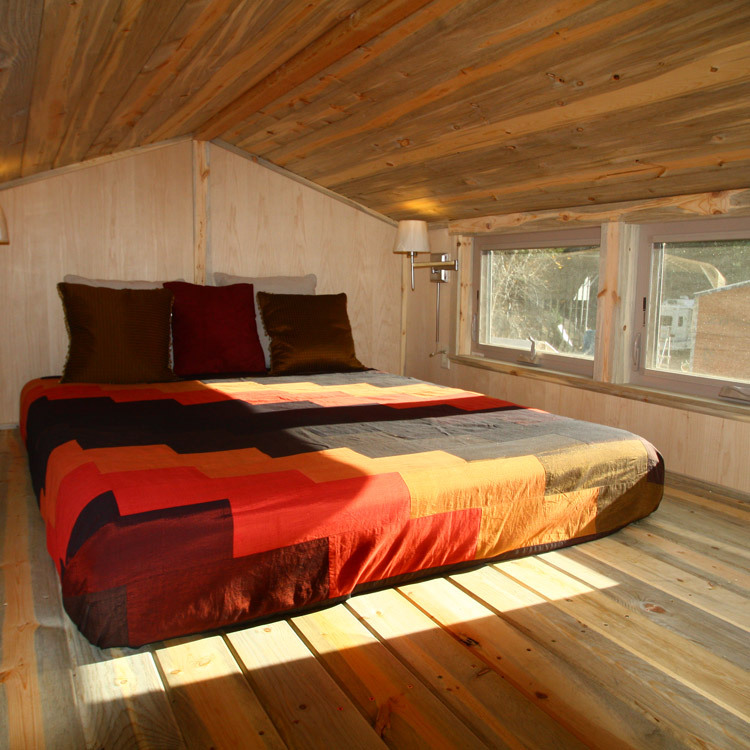 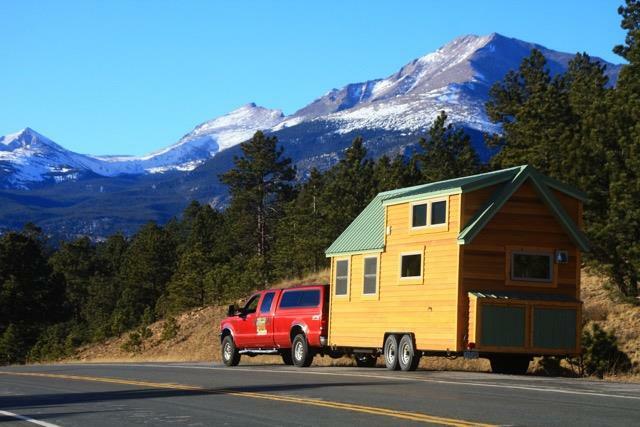 From Boulder, Colorado, is tiny house company Simblissity Tiny Houses. 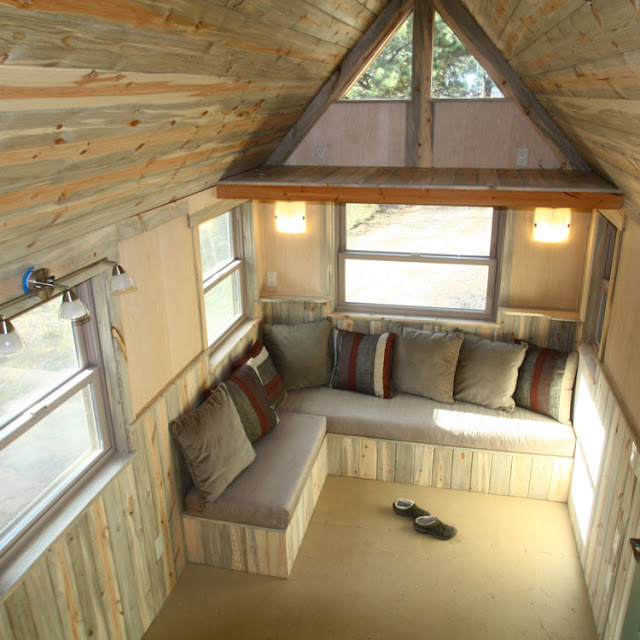 This classic tiny house, named the Aspen, offers 260-square-feet of living space (160 sq ft on the main floor plus an additional 80 in the loft bedroom). 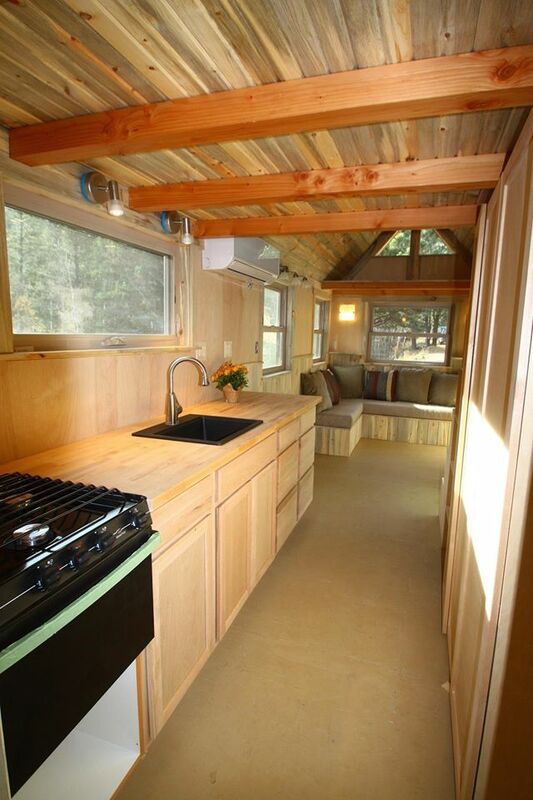 The kitchen includes a three-burner gas range stove with an oven, a sizable duel-fuel refrigerator, a pantry and plenty of cabinet space. 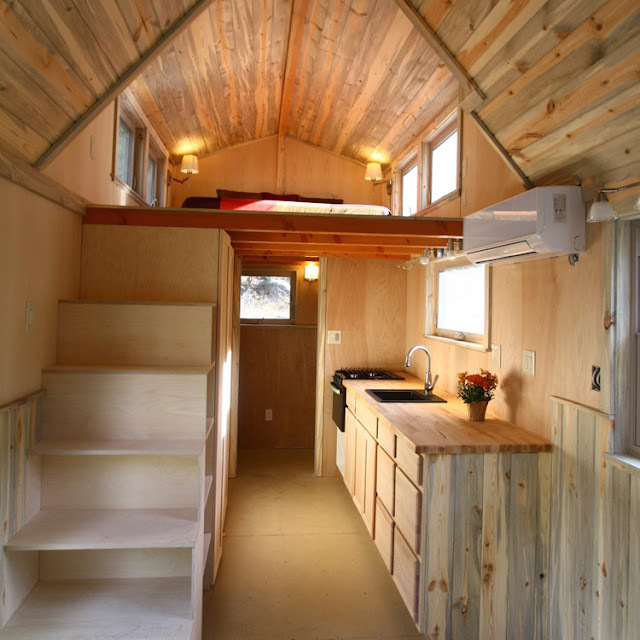 The loft is accessible by a staircase that doubles as storage. 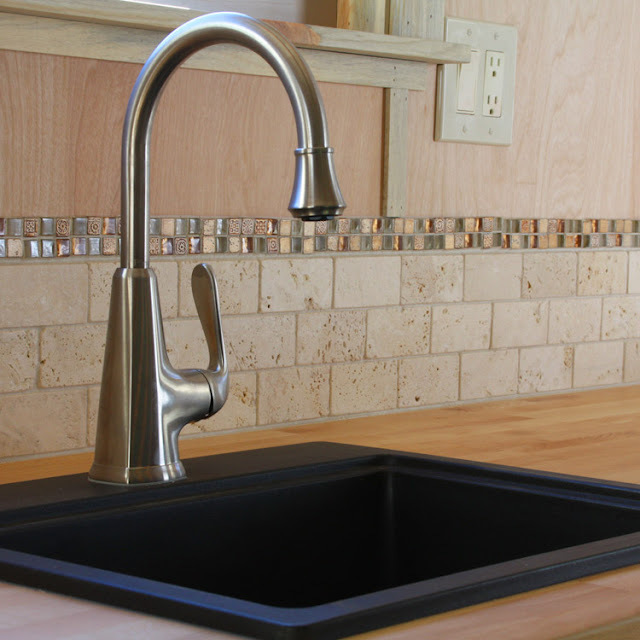 The home is also well-insulated with cork floors, and comes with heating and air conditioning. The home is currently available for order at $65,000.